Don’t forget to sign and date the new Certification located at the end of most divorce documents. The names and dates of birth of minor children and full financial account numbers must be listed on a Confidential Information Form (CIF) instead of in the divorce papers. If you and your spouse have a Property Settlement Agreement, file a Confidential Document Form (CDF) with it so your agreement cannot be viewed by the public. 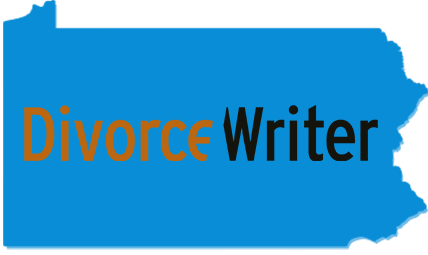 If you create your own divorce papers using DivorceWriter Pennsylvania, you’ll receive documents that include the new Certification, and also a CIF and/or CDF, when applicable. The parties (and their attorneys if they have them) are responsible for safeguarding information in the documents they file with the courts so under the new public access policy, a Certification section must be included at the end of most divorce documents stating that the document complies with the law. The Certification must be signed by the person filing the document. A sample certification form is available here. Abuse victim’s address and other contact information, including employer’s name, address and work schedule, in family court actions as defined by Pa.R.C.P. No. 1931(a), except for victim's name. Note that in the case of abuse victims, there is a separate Abuse Victim Addendum that’s part of the CIF where this infromation can be listed, but will remain confidential from the public and abuser. Agreements between the parties as used in 23 Pa.C.S. §3105.